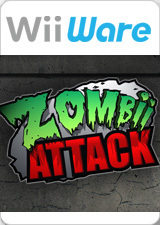 Zombii Attack: in an infected metropolitan city over-flowing with hungry zombies, you must stay alive armed with a only a giant slingshot and ammo such as anvils, tires, experimental highly-explosive z-bombs and even the undead themselves. The graph below charts the compatibility with Zombii Attack since Dolphin's 2.0 release, listing revisions only where a compatibility change occurred. This page was last edited on 15 January 2018, at 08:11.